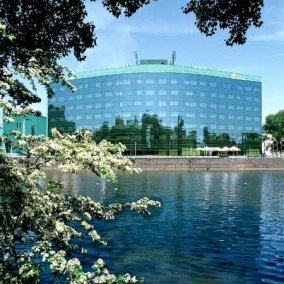 hotel is located in the center of Wroclaw, close to the oldest part of the city - Ostrow Tumski. Fitness center, laundry, safe boxes at the reception desk taxi-service casino,Restaurant offers a wide selection of Polish and European specialties.In summer months terrace by the river. 5 air-conditioned conference rooms (max. 180 people) with professional audio-visual equipment.,underground garage and the parking place by the hotel.